Every employee at KW Plastics is dedicated to a quality end-to-end product. From management to customer service, we understand that each and every employee is vital to the overall success of our company and recycled plastic products. To KW Plastics, the recycling of plastic is not just a job — it is our passion. Speak with one of our procurement specialists to learn how we can take scrap plastic bales off your hands, or, if your looking to buy quality high-density polyethylene (HDPE), medium-density polyethylene (MDPE), or polypropylene (PP) resins, we’ve got that covered too. Our team cannot wait to work with you! 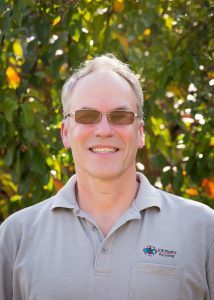 Scott leads the KW Recycling team with more than 30 years experience in the recycling industry. 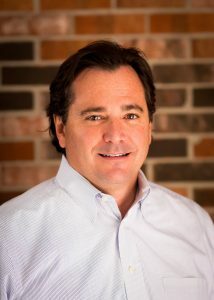 Scott joined KW in 1994 as the Director of Raw Material Procurement. In 2002 he became Director of Raw Material Procurement and Resin Sales and was named the General Manager in 2007. 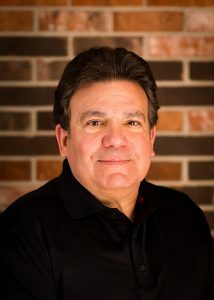 Scott has been an active member in the Association of Plastics Recyclers for more than 15 years and currently serves as Chairman of the Board. Scott and his wife, Becky, resemble a modern day “Brady Bunch” family with five children ages 19-24. 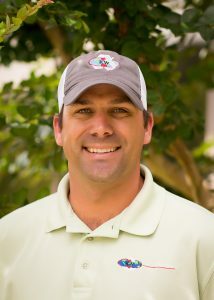 Scott likes to shoot sporting clays and advance his chef skills with new ventures in the kitchen. Stephanie is our advocate for recycling and is a champion for the economic advantages and opportunities for plastics recycling. 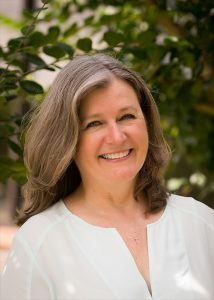 Her experience includes establishing closed loop recycling programs, beyond bottle expansion initiatives, policy, communications, economic development, strategic planning and community affairs. Professionally, Stephanie has been recognized as an emerging leader in plastics recycling, published her first (and only) white paper on closed loop recycling at the age of 30, and served as Chairman for SERDC 120, an initiative to explore strategic investments and public-private partnerships, which resulted in The Recycling Partnership. Stephanie holds a BA from Birmingham-Southern College and the esteemed title of “Best Dancer” for Pike Liberal Arts School Class of 1996. When she’s not traveling, for work, adventure or missions, Stephanie offers her communications and creative skills to her local church, civic and cultural arts interests. 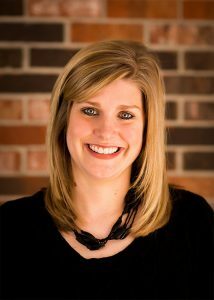 Stephanie is the mother to two daughters and balances her active schedule with the support of her husband, Matt. 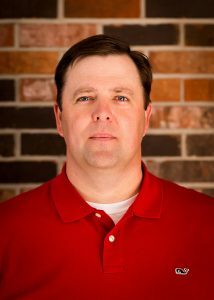 Leo leads KWR Operations with his expansive expertise in plastics paired with plant operations. 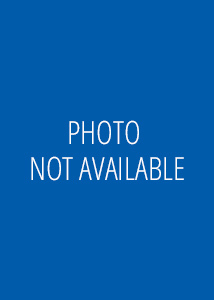 Originally from Holland, Leo has worked more than 10 years as a marine engineer for Royal Dutch Shell, seven years as a plant manager for GE Plastics, and 13 years as a Site Manager for an automotive plastics manufacturer in Indiana and Baton Rouge. Leo led the KW Cares volunteer team for a local Habitat for Humanity house and has served as a buddy for the Miracle League of Troy. On the weekends you can find Leo performance driving (track) sports cars or upgrading/maintaining his car. He spends his vacation days traveling with his wife, Lisa, and fly fishing. After working in the KWR Sales Department, Christopher realized he thrived better in the plant wearing his work boots rather than behind a desk or in sales meetings. Christopher manages our fiber reprocessing facility and has participated in the KW Plastics Relay for Life Team, leads the KW Shooting Team as the 2015 Shoot for the Heart Champion, and claims he is the best golfer at KWR. 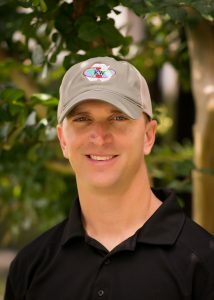 In addition to guns and golf, Christopher is an avid outdoorsman and founder and organizer of the Fish Camp Classic annual fishing tournament. Christopher has two boys with a third on the way with his wife, Stephanie. Dax joined KW Recycling five years ago as a Production Supervisor after serving as a State of Alabama Licensed Land Surveyor. Dax’s leadership skills extend beyond his job into his church and community. 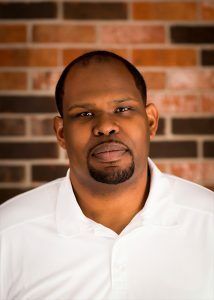 He serves as a board member for the City of Troy Board of Adjustments, a deacon for First Baptist Church of Troy, and coach for youth baseball and basketball. In 2016, Dax was voted “The Messenger’s Readers’ Choice Coach of the Year”. Dax and his wife, Holly, have two daughters and two sons who keep them very active and involved in the community along with spending time at their family farm. 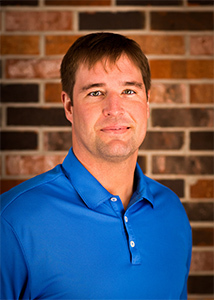 As a former college basketball player and coach, Billy’s success in plastics can be contributed to his ability to scout new sources of feedstock, recruit and develop relationships. Billy grew up in the Free State of Jones, Mississippi (Laurel) and came to Troy on a basketball scholarship to Troy University. Billy earned his bachelor’s and master’s degrees in History and pursued a lifelong dream to coach basketball after graduation. He coached basketball for 9 seasons, winning 4 conference championships and earning one trip to the NCAA Tournament, before accepting the Head Basketball Coach position at Northeast Mississippi Community College. In 2006, KW brought Billy back to Troy as a raw materials buyer. Billy remains active in local athletics, coaching youth sports and serving as President of the Charles Henderson Athletic Foundation. Billy is married to Richelle and has two sons, Press and Payne, who keep him active hunting, fishing and practicing baseball. 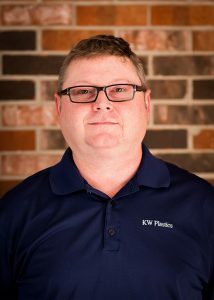 Jason began his career with the KW and Sanders companies in 1998, working in the Human Resources Department at Wiley Sanders Trucklines. In 2000, Jason transferred to KW Plastics as a sales and purchasing rep and in 2010, he made an internal move to the Recycling Division where he manages Polypropylene procurement for the West Coast. Jason is a competitive Thursday night Trivia player, enjoys the outdoors and enjoys spending time with his teenage son, and soccer star, Toler. 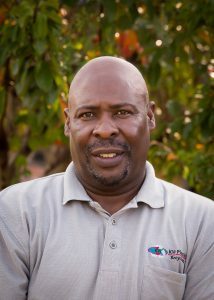 Daron is able to provide superior customer service in our Purchasing Department because he has an in-depth knowledge of the entire recycling process. Daron’s dedication to KWR began July 13, 2000, working on the yard, mainly sweeping trailers. Since then, he has worked in the Shipping Department, the Receiving Department, the Lab, he has run wash lines, operated forklifts, and managed production quality. Daron credits KW for giving him a purpose and opportunity to build a career. 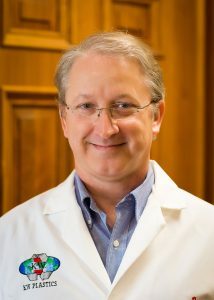 In 2009, after working many night shifts, Daron earned his degree in Computer Science from Troy University. Daron and his wife, Mailka, have 2 young sons. Daron enjoys hunting, fishing, football, baseball, basketball and watching the Crimson Tide. 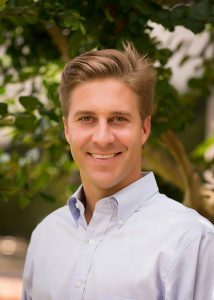 A native of Habana, Cuba, Pedro immigrated to the United States to study chemistry and business at Duke University and the University of Florida (BSBA). He joined Shell Chemicals after graduation, and sold and marketed fuels, lubricants, and PP, PS, PB, and Kraton. As Shell began its polymer divestitures, Pedro decided to join the resin distribution business, and held various leadership positions at M.A. Hanna and M. Holland Co before joining KW Plastics Recycling Division in 2008. Pedro and his wife of 35 years are southern transplants and happily moved to Montgomery, Alabama, from Chicago. Pedro is a proud father of two daughters and roots for the Fighting Irish of Notre Dame. Meagan has been with the KW companies for more than 10 years, beginning as an intern in college and then serving on the Office Management team and Accounting Department before joining the Sales Department in 2010. Meagan’s background in retail and human resources has equipped her to serve our resin customers with a smile and enthusiastic effort. 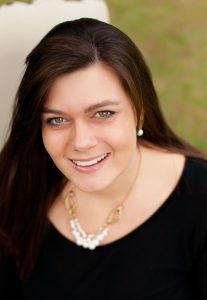 Meagan earned a Bachelor of Science in Business Administration from Troy University where she met her husband, Jonathon Blair, who is a Process Engineer for KW Container. She and JB have a toddler daughter, Ella Cole, an infant daughter, Sawyer, and a black and tan miniature dachshund, Annie, who keep them all entertained. KW Plastics truly is about family for Meagan. Her father is a pilot for the KW Companies and her brother has worked with KW as well. Her family enjoys living in Troy, but can often be found visiting the beach or the lake. Clint learned the value of hard work from his family farm and the importance of teamwork as collegiate baseball player. His sales experience began early in life, selling boiled peanuts for extra spending money in his teen years. A graduate of Troy University, Clint started his career at KWR as a fresh Troy University BSBA graduate in the summer of 2007. He worked closely with our polypropylene suppliers, immensely growing sources of feedstock and in 2013 moved to resin sales. Clint has successfully launched two new post consumer resins to the open market in the last four years and travels frequently to meet with resin customers and visit molding facilities. He is the father to Gabby, a springer spaniel, and expecting a child with his wife, Cortnee, September 2017. Clint owns a small cattle farm that he declares is more of a hobby than business, and is an active member at First Baptist Church of Troy. Jane is dedicated to responding to the KW Plastics polypropylene customers with confidence and meticulous care. With an extensive background in financial services and administration as a Financial and Operational Principal for an investment banking firm for more than 25 years, Jane was a welcome addition to the KW team in 2011. Jane and her husband, Russ, along with their son, Tripp, and daughter, Kelly, all have accounting degrees. We think the association might come from their last name – Cash. She is a self-trained calligrapher and enjoys craft projects. She and her husband, Russ, have filled their empty nest with furry children, Bebe and Phoebe. When Martha isn’t busy keeping the KWR office organized, greeting guests or managing personnel, she is working in her yard or driving the RV to vintage car shows. 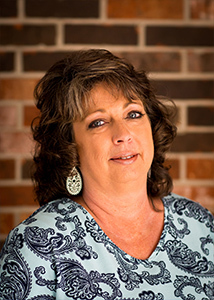 Before joining the KW team, Martha worked for 17 years with HB&G in Troy. She and her husband, LB, can often be heard yelling “Roll Tide” on Saturdays in the fall. And although Martha and LB just celebrated their 34th wedding anniversary, we all know that the true love of her life is her 2 lb. toy poodle, Little Bit.